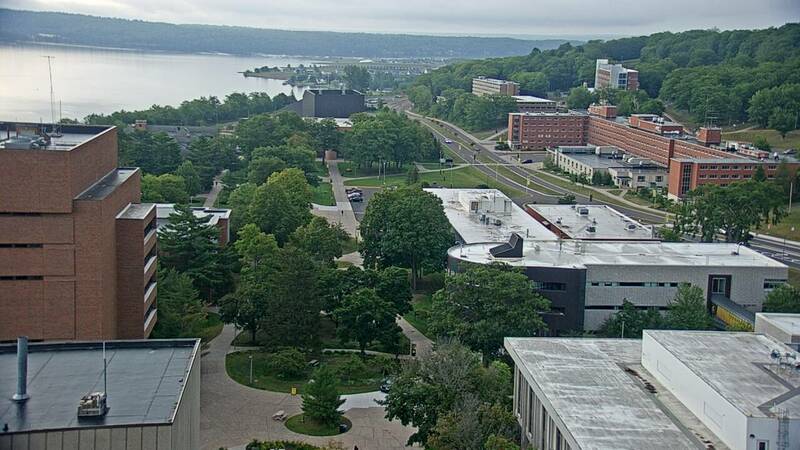 A view of campus from the Mechanical Engineering and Engineering Mechanics Building looking east. 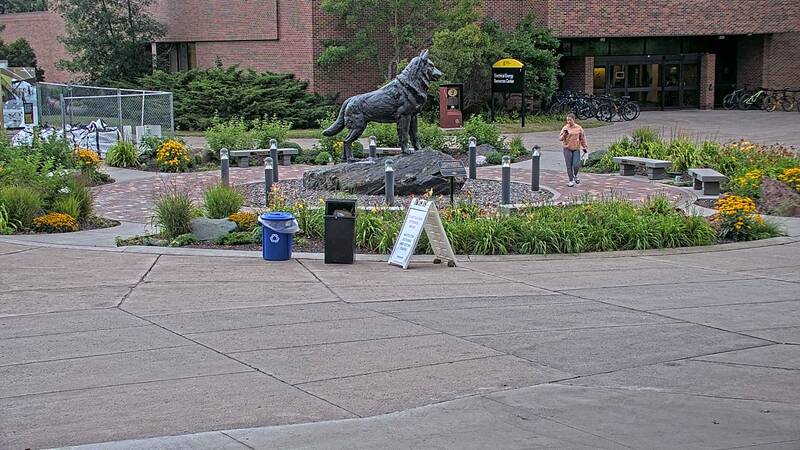 Husky Plaza is made possible by the generosity of Michigan Tech alumni and friends. 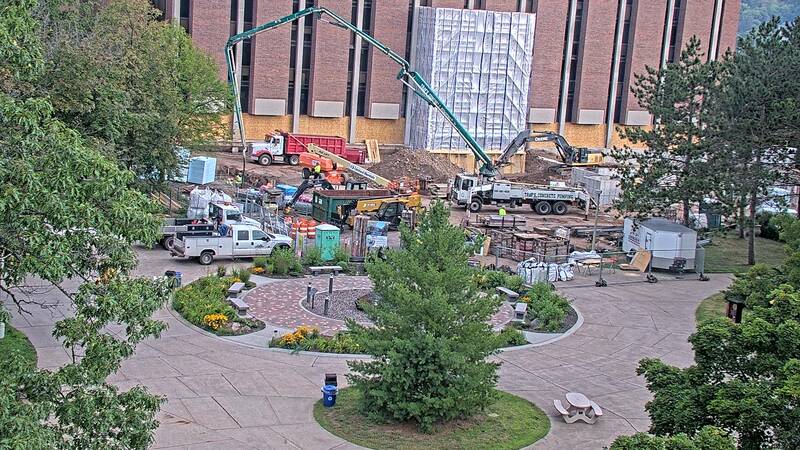 View of the center of the campus mall from Rekhi Hall looking northwest. 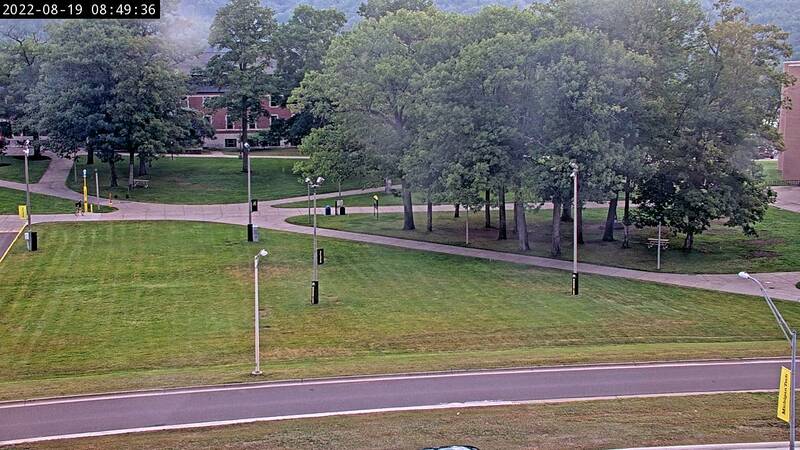 Overlooking the lawn in front of the Walker Arts and Humanities Center. Multipurpose Room in the Student Development Complex. 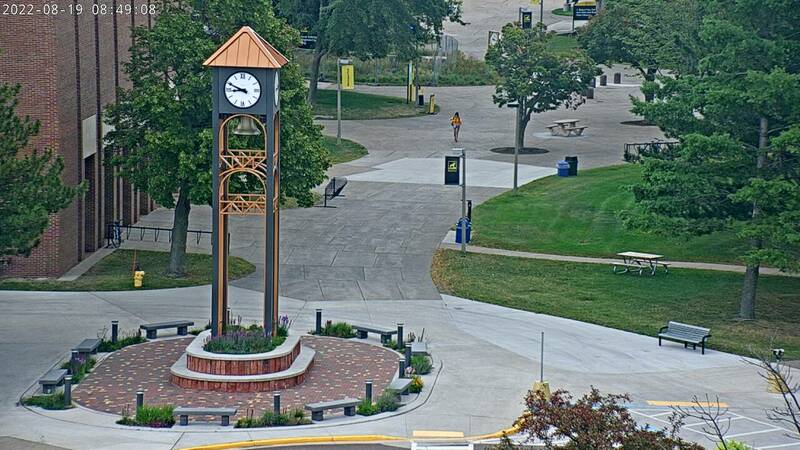 The Bernard Family Clock Tower is made possible by the generosity of Michigan Tech alumni and friends. 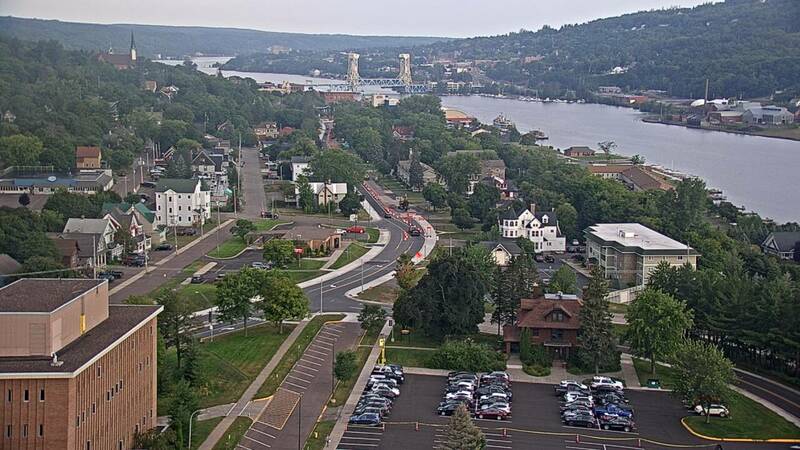 Looking west toward College Avenue and the Portage Lake Lift Bridge. 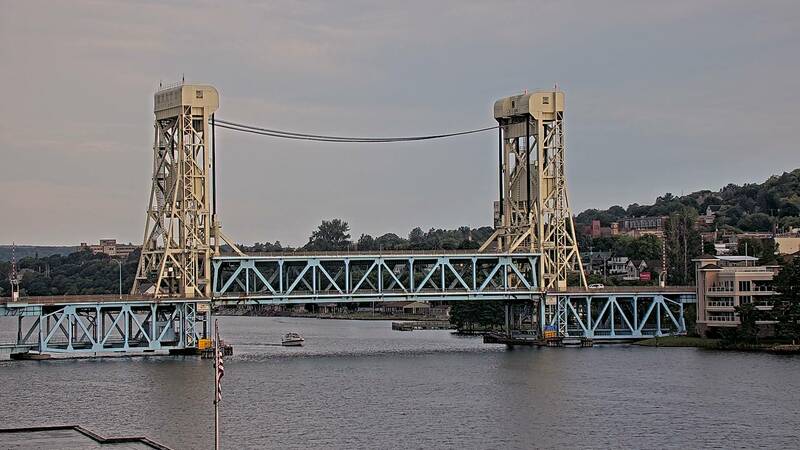 View of Portage Lake Lift Bridge and the campus from the Michigan Tech Fund offices in Hancock. 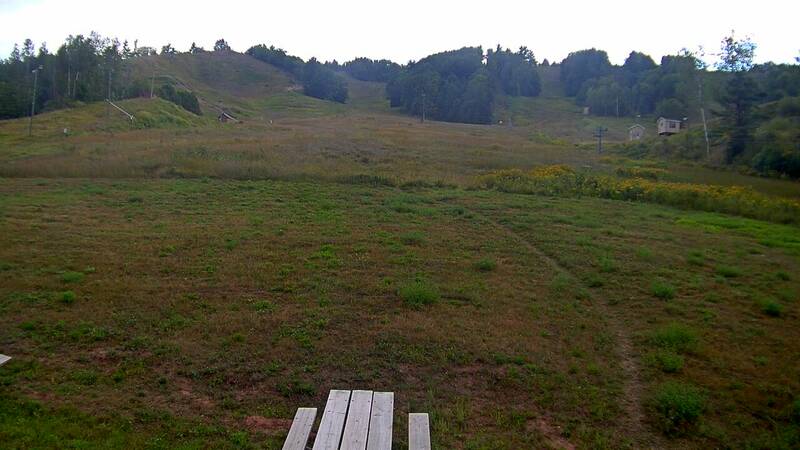 View from the chalet of the Mont Ripley Ski Area. 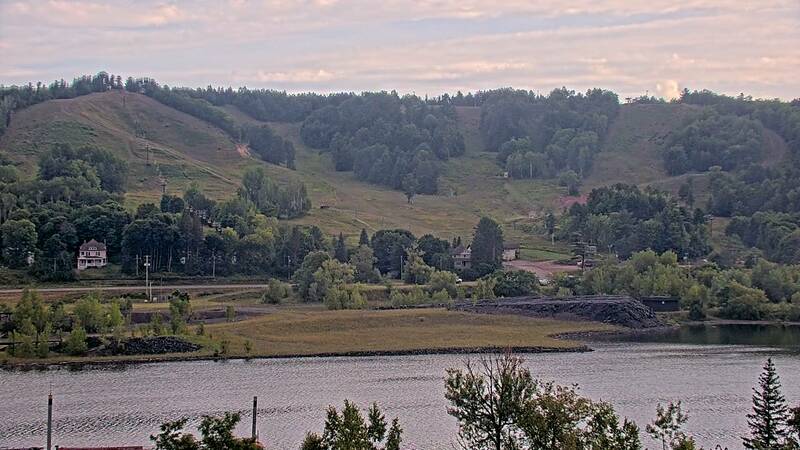 View of the Mont Ripley Ski Area. 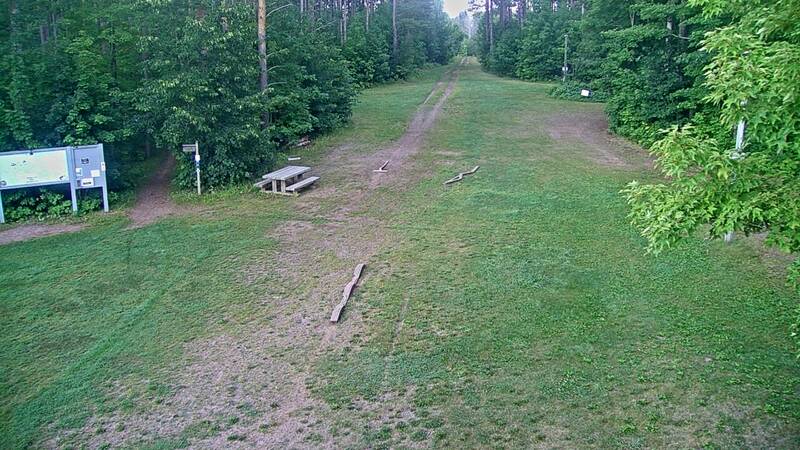 View of the Tech Trails near the waxing building looking south. 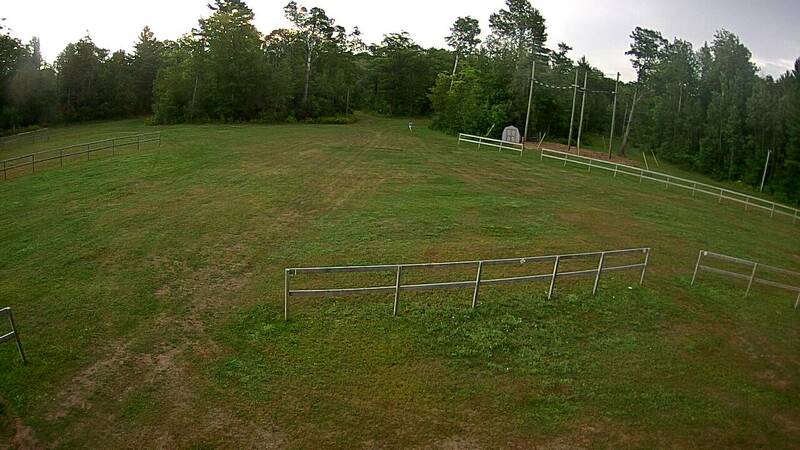 View of the Tech Trails near the warming building. 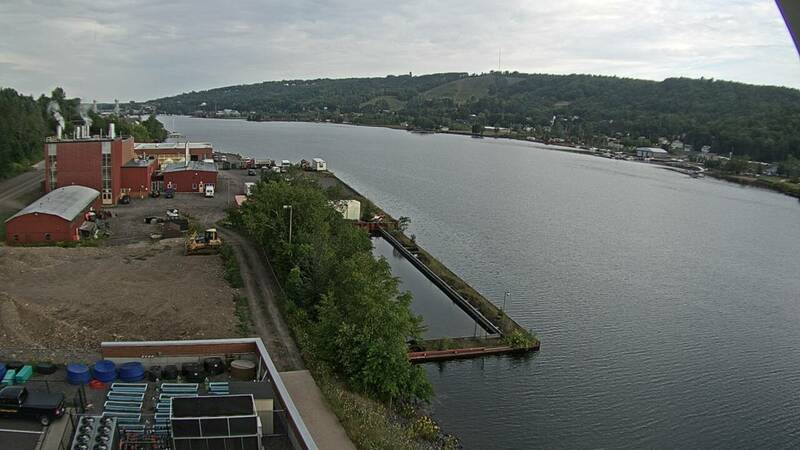 A view of the Keweenaw Waterway looking north. 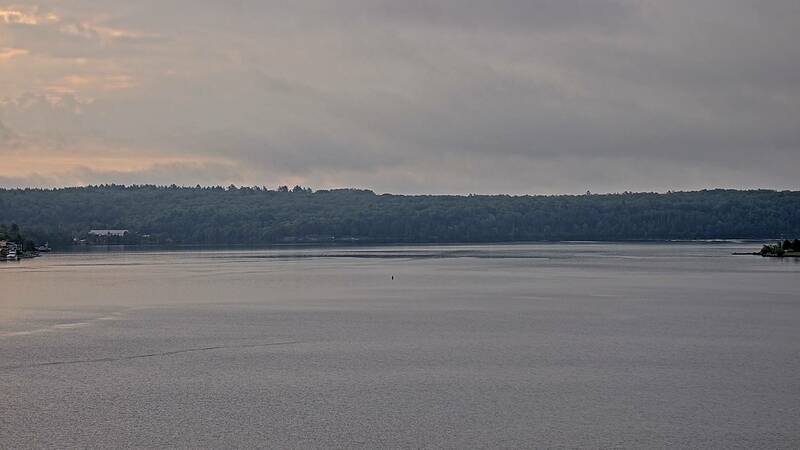 A view of the Keweenaw Waterway looking east.